We’ve got to follow the trends! 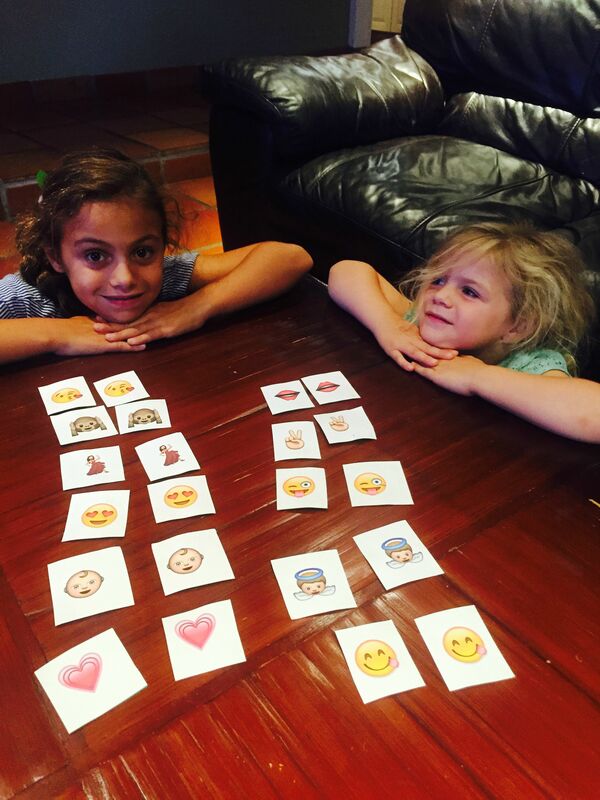 Creating and playing Emoji Match Up was a fun and trendy way to spend family game night. The girls had so much fun seeing those Emojis that they see on my phone and tablet. They have their favorite. Don’t we all? Search on Google for Emojis. There are a number of sites that have the FREE image files of each object. There are even sites that sell Emoji stickers. I found GetEmoji.com to be an easy place to Copy/Paste the Emojis. Since there are dozens of Emojis, select your family’s favorite 10. You can even have fun voting on which Emojis will win! Paste/Download them onto a Word Document. I created a table of 2x5, and pasted an Emoji in each cell. Print the Emojis two times onto paper. Adhere the paper onto thicker cardstock so the cards are more durable and can’t be seen through. I chose yellow cardstock. Cut the Emojis into squares. Play the game by laying card upside down in a grid format. Invite players to turn two cards over at a time with the object of finding matching Emojis. The player who finds the most matches wins. Store the cards in a resalable plastic bag. 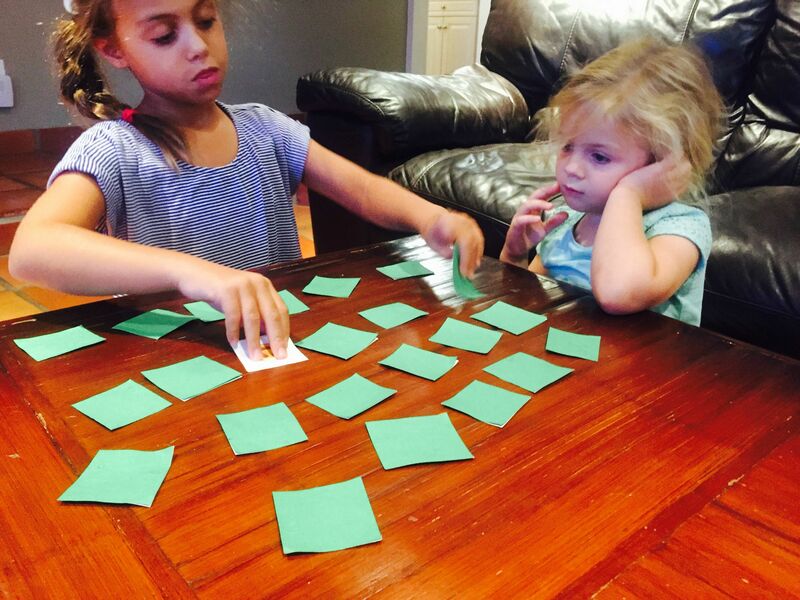 Our family had so much fun playing this game. We found that we were giggling so much when we trid to come up with names for the different Emojis that we matched. While some of the Emojis are easy to name like the red dancer others like the one who’s winking and sticking out his tongue had some funny names created by my family!